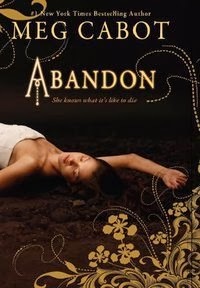 Series Review: Abandon Trilogy by Meg Cabot ~ Love.Life.Read. Pierce Oliveria died, after which she traveled to the Underworld. There she met John Hayden—the lord of the Underworld. It is his job to sort the deceased onto the boats that will carry them to their final resting place. John, having never met another soul like Pierce, wanted to keep her with him in the Underworld as his partner but Pierce had other plans and escaped. John saves Pierce as the Furies fight to kill her again and again. John succeeds in convincing Pierce he has honorable intentions towards her but her life is very much in danger. 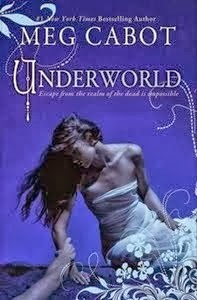 Feeling it is the only way to keep her safe, she ends up back in the Underworld. Book Two ushers us into Pierce and John trying to succeed in both their relationship as well as staying safe from the Furies. However when her family becomes entangled in it as well as their concern for Pierce going missing, Pierce and John risk their lives to save not only themselves but also Alex, Pierce’s cousin and her uncle Chris when he is accused of murder. While doing so, John breaks one of the cardinal rules of the Furies—he revives a human soul. Now in Book Three Pierce and John must right the wrongs, defeat the Furies to restore the Fates so the Underworld can be restored. Of course, it does not help that those in Pierce’s life are still having a hard time believing that John is not a fake nor that they are making up the Underworld as some pseudo excuse of a tale. With needing to restore order in the Underworld, defeat the Furies and stay alive, there is a lot to do in a short amount of time! I am a huge fan of mythology retellings in young adult literature. As much as I am on the lookout for new titles that fit this subgenre, I also get nervous reading them because of my expectations and love for the topic. I have to say, Ms. Cabot’s Abandon trilogy fit the bill for this type of book to me. Let’s begin with the characters: Pierce and John especially. I was not sure how I was going to like Pierce at the beginning of the first book but I quickly warmed up to her. I appreciated how she did not just roll over to whatever John asked of her—she definitely has a strong willed personality and wants to be a true life partner, not just a trophy for John. For a guy who died two hundred years plus ago, he feels modern and just how I would think the lord of Underworld would be in modern day times. The love story between them is heart-warming and builds over the course of the three novels. The secondary characters are interesting and add to the elements of the story. Alex, Mr. Smith, Frank and Chloe are some of them that I particularly enjoyed. Though Frank and Chloe are relatively minor characters, I just found myself really enjoying them. Alex and Mr. Smith play a larger role and I felt they were interesting characters that grew on me. All of the secondary characters added to the story whether to push John and Pierce together or to hold them back from success. I felt the pacing was good over the whole series. There is a balance of having to give us readers enough of an understanding of the myth but to do it without allowing the background information drag the pace or overwhelm the reader. Ms. Cabot gave enough information for me as a reader not to get lost but I never felt impatient or bored, wishing the story forward. Overall, I felt the series wrapped up well--I did not have any lingering doubts or questions. I was happy and content with how the series wrapped up. This is loosely based on the Hades and Peresphone and while it does not have as many mythological elements as some, I would recommend this to all those who seek a beautifully written love story with a mythological twist.